Could You Make Money With Affiliate Marketing? Think About It! Many people are tempted to make a go of affiliate marketing and it isn’t hard to see why. This article discusses the potential offered by this opportunity and ponders whether you could make some real cash from it or not. Affiliate marketing has led to many people making a good second income and some people ditching their jobs and enjoying a decent full-time income from it. Could you do the same? It’s an intriguing question isn’t it? In order to answer it let us first consider what this type of marketing actually is. 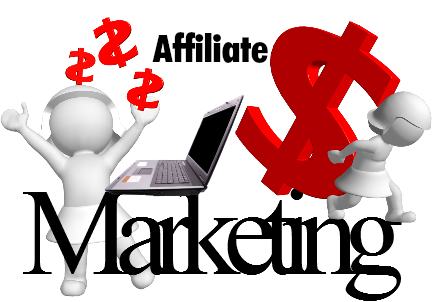 Affiliate marketing is a process whereby a business allows people to market its product through an affiliate scheme. As an affiliate it costs nothing for you to join the scheme and you get a unique affiliate link to use to send traffic through. Normally you will receive a variety of text ads and display ads that have your link encoded within them. You can then use these to promote the product on your website or your blog. The good thing about this type of marketing is you have no overheads to worry about. You don’t have to create a product: you simply have to find a business that already has a product you think your audience will be interested in. In addition you don’t have to do anything other than display your choice of ads on your website. The more traffic you can drive to the site through your link the better, and for every purchase made you can expect to earn a commission. This will be agreed prior to you accepting the affiliate link. However it can be as high as 50% or even higher in some cases (although oftentimes it is lower than this; it depends on the business involved). So the key is to find an affiliate marketing program that works for you and your audience. Let’s say you have a blog that is all about wooden toys. If you find an affiliate marketing program that gives you a commission for every customer you generate who buys toys through your link, that’s ideal. Since the people reading your blog will be people who love wooden toys, you need to find a program that has something to do with this. It could be a toy supplier or even a book store that stocks books about wooden toys. The key is to ensure there is a link there and that it is a strong one. While we hear stories from time to time about affiliates making millions of pounds or dollars doing this, it is far more likely you will earn less than that amount. Of course the sky is the limit and if you find a way to generate lots of traffic to your website and you have products your readers want to buy, you could soon develop a useful part- or full-time income. However you should start slowly and build from there. Affiliate marketing is a learning curve but you will undoubtedly enjoy the experience of travelling that curve to learn more about the business. And it can be a business, make no mistake about that. There is no limit to the number of sites you could have or the amount of programs you could promote. You could achieve more than you may think.